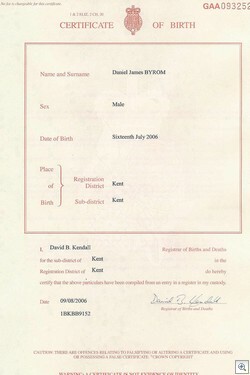 I took some time out today to go and register Daniels birth at the local Registrar of Births and Deaths in Maidstone. 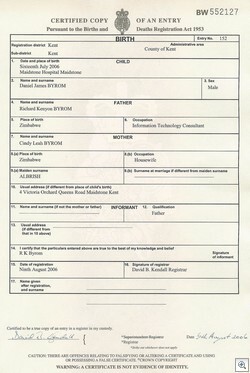 Here’s a peek at what the birth certificate looks like as well as the copy birth certificate. 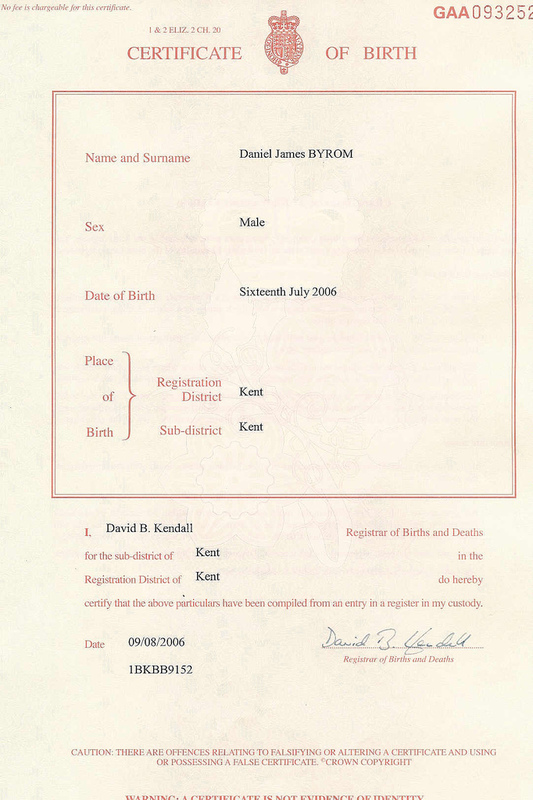 Where and when must I register a birth? What happens when I talk to the registrar? What will I be given? 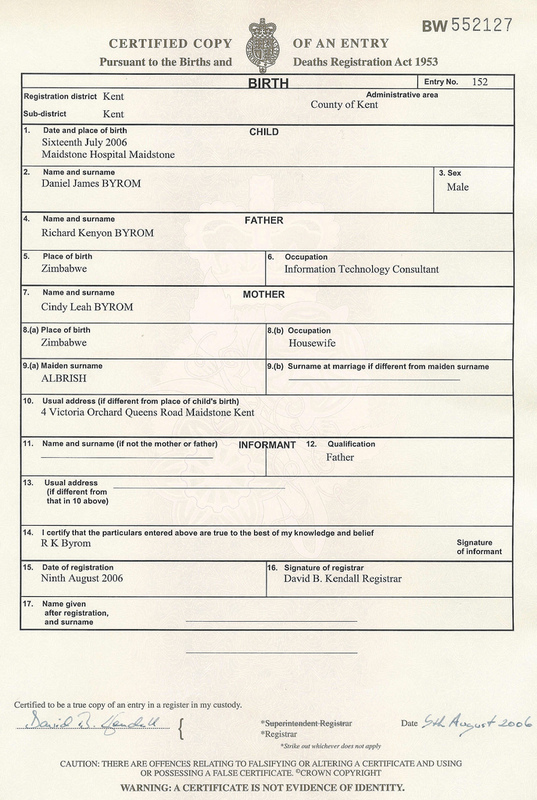 Do I need copies of the birth certificate?